One of the joys of travel is engaging in another language and being surrounded by languages I have never learned. Although its is almost 40 years since I was a student in Japan, I can still count to four in Japanese, exchange basic formalities like Good Morning, Please and Thank You, and still mimic some of the subway announcements I heard in the commuter rush in Tokyo. At first, I used to take phrasebooks with me on every new venture. Eventually I gave up on this exercise in Europe when I found both Magyar or Hungarian and Turkish confusing and impenetrable. But the experience of being surrounded by foreign languages begins these days long before landing in another country. 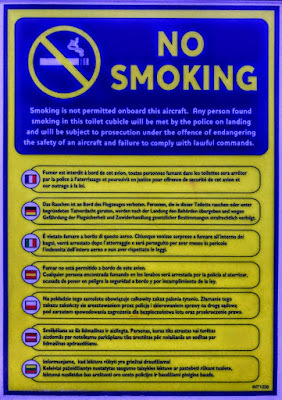 I noticed on one recent flight, the variety in expressive uses of language on one ‘No Smoking’ notice. 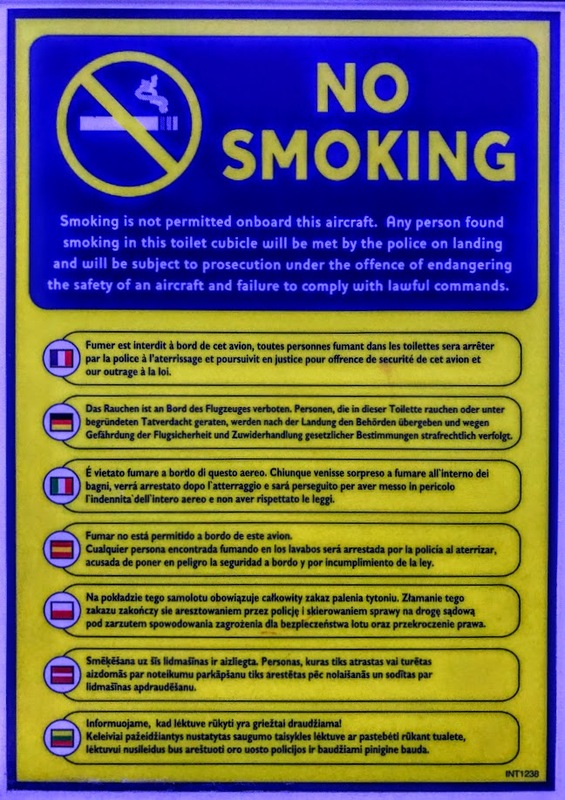 While that notice says in English, ‘Smoking is not permitted onboard this aircraft,’ the French equivalent says, ‘Smoking is prohibited on this plane.’ Failing to comply with the law in English becomes an outrage against the law in French, and not showing respect for the law in Italian. Anyone who tries to learn another language knows it is not enough to learn the vocabulary and try simply to replace the words with their equivalent. Translation programmes such as Google Translate not only miss nuance and subtlety, but also miss out on beauty and grace. I should admit that I am not a linguist and I am not good at learning languages. I barely managed to scrape through with a pass on the pass paper in Irish in the Leaving Certificate, despite having spent a month in Ballinskellings in the Kerry Gaeltacht a few years before. But I sat four languages for the Leaving Certificate – English, Irish, Latin and Spanish – and later studied both Biblical and Classical Greek, which have minor uses when trying to order food and drink off a menu in modern Greek. I grew up often hearing the phrase ‘the Greeks have a word for it.’ But sometimes in Greece I struggle to find the words for flowers and everyday fruits, although there is no need to – every Greek in resorts and shops speaks fluent English, and I speak very poor Greek. 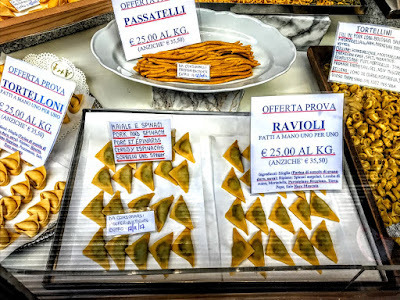 School Latin and school Spanish provided basic tools for making sense of menus, signs, newspapers and even legal notices in a variety of other languages, including Romanian, Italian and French. But despite my poor abilities in learning a new language, I enjoy attempting in what must sound gibberish to make myself understood. I never learned French at school. But on an early journey to Paris in my 20s, I was coached carefully and sent into a shop to buy a present. Hesitantly, I explained, ‘Excusez-moi, je ne parle pas français. Parlez vous anglais?’ I got a quick response that I knew immediately and instinctively meant, ‘I understand you perfectly, how can I help you in French?’ I blushed and was reduced to the conversational competence of a two-year-old, pointing and making silly sounds. On one holiday, I insistied on making myself understood by rail staff who probably had better English than my Italian. I managed to get the wrong train – not just once, but twice … on the same day. Well, it was the right train, but on the first journey it was going in the opposite direction, and on the last journey that day I was going in the right direction, from Viareggio to Florence, but by another route that bypassed the stop I needed. On another occasion, I apologised in a restaurant in Barcelona, explaining that I did not speak adequate Spanish and had learned it in school, a long time ago. ‘Same here,’ came the response, ‘I don’t speak Spanish; I had to learn it in school too, but that was a long time ago. I speak Catalan.’ Restaurateur 1, Patrick 0. I was surprised on a train from Brussels to Bruges, as the language for announcements changed from French (Walloon) to Dutch (Flemish). After that early experience in Paris in the 1970s, I had expected Dutch sounds would be easier to the ear of an English-speaker. English resembles French in more ways than we realise. About 20 to 25 per cent of English vocabulary is based on French; other estimates say about 60% of our English vocabulary comes either directly from French or through a Romance language, when we include words from Gaulish and Germanic languages such as Old Frankish. Until the late Middle Ages, French remained the language of the ruling class in both England and Ireland, while ordinary people continued to speak in dialects based largely on Saxon or Irish. In conversation to this day, many of our polite words are still based on French, while the words in ordinary conversation can have Anglo-Saxon roots. Beef comes from the French boeuf, while cow is an Anglo-Saxon word; poultry has French roots, while chicken has Anglo-Saxon roots. While I was working as a journalist, I often enjoyed sitting around at the end of a working day with international colleagues, enjoying multilingual exchanges and conversations. We hardly needed to know precisely what someone else was saying, but we made up for linguistic weaknesses because of context, facial expressions, body language and the responses, whether in humour or in anger. To this day, I can understand a lot more that is said to me in another language than I can say myself. But the two European languages that have completely floored me are Hungarian or Magyar and Turkish. Even reading road signs in long journeys across Hungary proved difficult. Although Hungarian is not an Indo-European language, it has many words from Slavic and Turkic languages, and from German too. But while the English alphabet has 26 letters, Hungarian has 44. Hungarian has no grammatical gender, so while there is one pronoun (ő), there are no separate words for ‘he’ and ‘she.’ Instead of prepositions such as ‘from’ and ‘with’ in English, Hungarian has suffixes that are added to the end of main words. In this way, ‘From Budapest’ becomes ‘Budapestről,’ and ‘with Barbara’ in English becomes ‘Barbarával’ in Hungarian. Another feature of Magyar is vowel harmony. In addition, the stress is always on the first syllable of words. For its part, Turkish is the most widely spoken of the Turkic languages, with 60 to 65 million native speakers in West Asia, mostly in Anatolia, and a further 10 to 15 million in south-east Europe, mostly in East and West Thrace, but also in significant numbers in Greece, Cyprus, Bulgaria, the Former Yugoslav Republic of Macedonia, Germany. Although Turkey is not a member state of European Union, Cyprus has already asked the EU to make Turkish an official EU language. The characteristic features of Turkish include vowel harmony, agglutination, and, as with Hungarian, the lack of grammatical gender. Despite these complexities, Turkish loanwords have been appearing in the English language since the late Middle Ages. They include Balaclava, Balkan, bulgur, caïque, cassock, coffee, doner kebab, kiosk, lackey, tulip, turquoise and yoghurt. 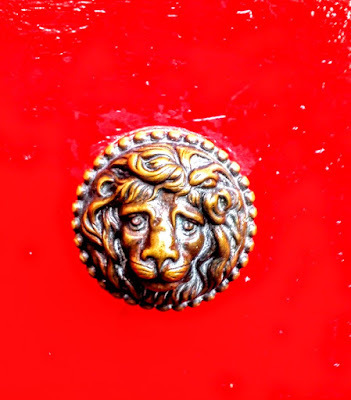 Even Aslan, the lion in the Narnia chronicles by CS Lewis, takes his name from a Turkish loanword. 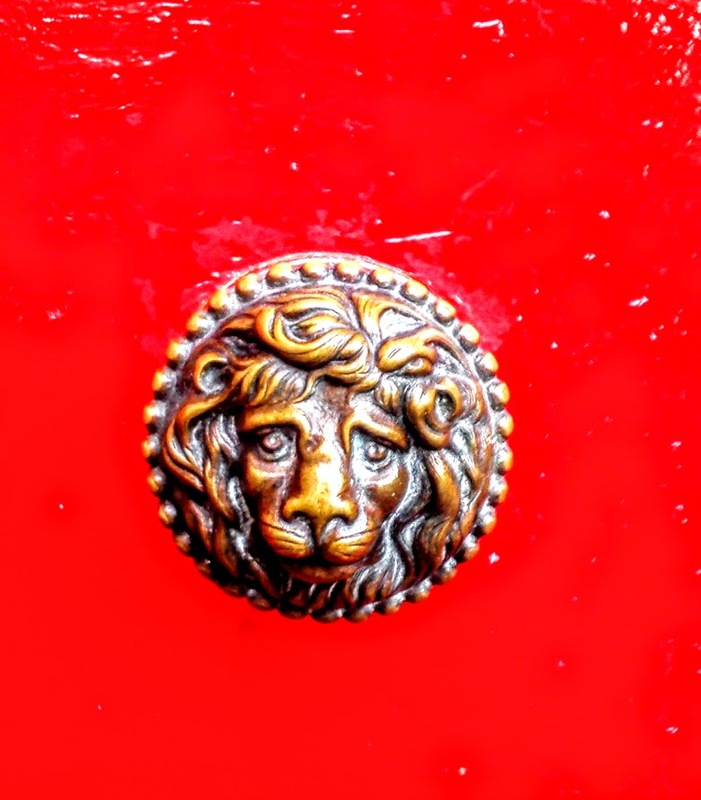 Trying to translate Biblical, theological and liturgical texts needs even greater subtlety and sensitivity given that people’s beliefs, faith and practice are involved. We speak at times of the ‘wrath of God.’ But wrath is not a Biblical word, it is an Anglo-Saxon word. Yet Isaiah’s words would not have the same impact if they were translated as saying, ‘Behold the day of the Lord comes with irritation’ or ‘with pique’ (Isaiah 13: 9). The Orthodox think many of the problems with Saint Augustine’s thinking derives from his distinct lack of knowledge of Greek. But one of the major divisive arguments in the Roman Catholic Church today is the imposition of a literal translation from Latin into English of liturgical texts, robbing them of their ability to be dynamic and poetic. The word liturgy (λειτουργία, leitourgía) is Greek and means ‘the work of the people,’ referring even to the rowdy, the masses or the populace, and not just the polite people. But in Greece ‘liturgy’ is not necessarily a sacred word, and is neither technical nor purely theological. Supermarkets and shops in Greece have signs that regularly announce ‘Opening Hours’ as ores leitourgías (ώρες λειτουργίας) – the hours of service, or the hours for serving the public. Everyday Greek has at least four different words for blue, so that blue can be seen by Greeks as four distinct colours. It is never too late to learn a new language. It can be enriching, and it could be a very exciting New Year’s resolution. This feature was first published in January 2018 in the ‘Church Review’ (Dublin and Glendalough) and the ‘Diocesan Magazine’ (Cashel, Ferns and Ossory). The First Sunday after the Epiphany: the Baptism of Christ. 11.30 a.m.: Saint Brendan’s Church, Kilnaughtin (Tarbert), Co Kerry, Morning Prayer. Readings: Genesis 1: 1-5; Psalm 29; Acts 19: 1-7; Mark 1: 4-11. Three Gospel stories are traditionally associated with the Feast of the Epiphany, which fell yesterday [Saturday, 6 January 2018]. 1, The first and the best-known Epiphany story is the story of the visit of the Magi in Saint Matthew’s Gospel. It is such a traditional part of our Christmas celebrations, that few people take down the Christmas tree, the decorations or the cards until at least Twelfth Night, Nollaig na mBan (‘Women’s Christmas’), or Little Christmas, on 6 January. 2, The second of these three Epiphany stories is the story of the Baptism of Christ, which is the Gospel reading this morning. 3, And the third traditional Epiphany story is the Wedding at Cana (John 2: 1-11), which is not provided for in the Epiphany readings in the Church of Ireland lectionary this year. In the story of the Magi, God-incarnate-in-Christ is made known to the Gentiles when the Wise Men lay their gifts of gold, frankincense and myrrh before the Christ Child, proclaiming him as Priest, Prophet and King, as the promised Messiah. 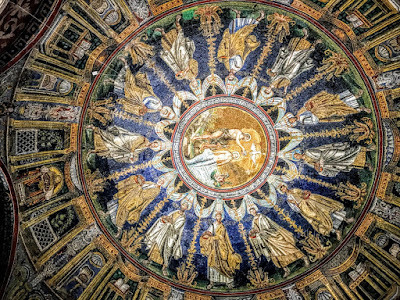 In today’s Gospel story, we have that other Epiphany moment, which is a revelation of not only who Christ is, but also a revelation of God as Trinity. L’Oréal’s original slogan declared: ‘Because I’m worth it.’ In the 1990s, this was replaced by: ‘Because you’re worth it.’ In 2009, this was changed again to: ‘Because we’re worth it’ – following motivation analysis and research into consumer psychology. In Christ, at the Incarnation, on the first Christmas, God takes on our image and likeness. Because we are worth it, you are worth it, I am worth it. Saint Mark’s Gospel has no Christmas story: no baby born in Bethlehem, no shepherds watching their flocks by night, no wise men arriving with their gifts. Instead, in Saint Mark’s Gospel, our first meeting with Christ is when he arrives from Nazareth of Galilee and is baptised by Saint John the Baptist in the River Jordan. It is like the story of a new creation. All the elements of the creation story in Genesis are here: we know we are moving from darkness into light; the shape of the earth moves from wilderness to beauty as we are given a description of the landscape; there is a separation of the waters of the new creation as Jesus and John go down in the waters of the Jordan and rise up from them again; and, as in the Genesis story, the Holy Spirit hovers over this beautiful new creation like a dove. And our Epiphany story this morning is not just a reminder of Christ’s Baptism, but a reminder to us that in our own Baptism we were claimed, adopted, loved as the Children of God. If all your New Year’s Resolutions flew out the window in the past week, then why not resolve to simply accept that God accepts you, that you are made in God’s image and likeness, and that when God looks at you, new every morning, God sees God’s own image and likeness, that when God looks on each of us as a sign of his new creation, he sees that it is good, and that we, them, all of us, are his beloved children in whom he is well pleased: ‘And a voice came from heaven ... I am well pleased’ (Mark 1: 11). (Revd Canon Professor) Patrick Comerford is Priest-in-Charge, the Rathkeale and Kilnaughtin Group of Parishes. This sermon was prepared for Sunday 7 January 2018.